Ferrous contaminants which bond to your paintwork can ruin the bodywork of your vehicle if left untreated, they become embedded in the paintwork causing the onset of rust. Pure Definition's innovative Anti-Iron Ultra Eliminator is developed to neutralise the contaminants before they have chance to attack the paintwork. Anti-Iron Ultra Eliminator is an extremely effective formulation which is developed to eliminate and remove damaging ferrous contaminants from paintwork and wheels. 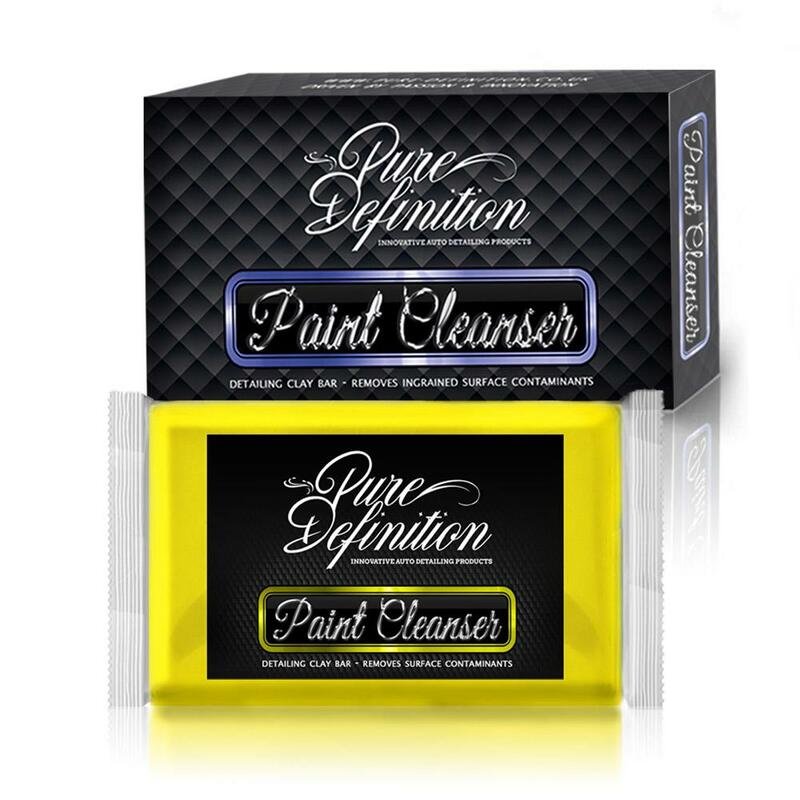 This unique PH neutral formulation is a key preventative step in keeping your vehicle corrosion free, ensuring total removal of rust causing ferrous particles which become ingrained into the surface of the paintwork over time. The ferrous particles are created from brake dust and other environmental contaminants such as industrial fallout which will eat through the paintwork and bodywork if left untreated. 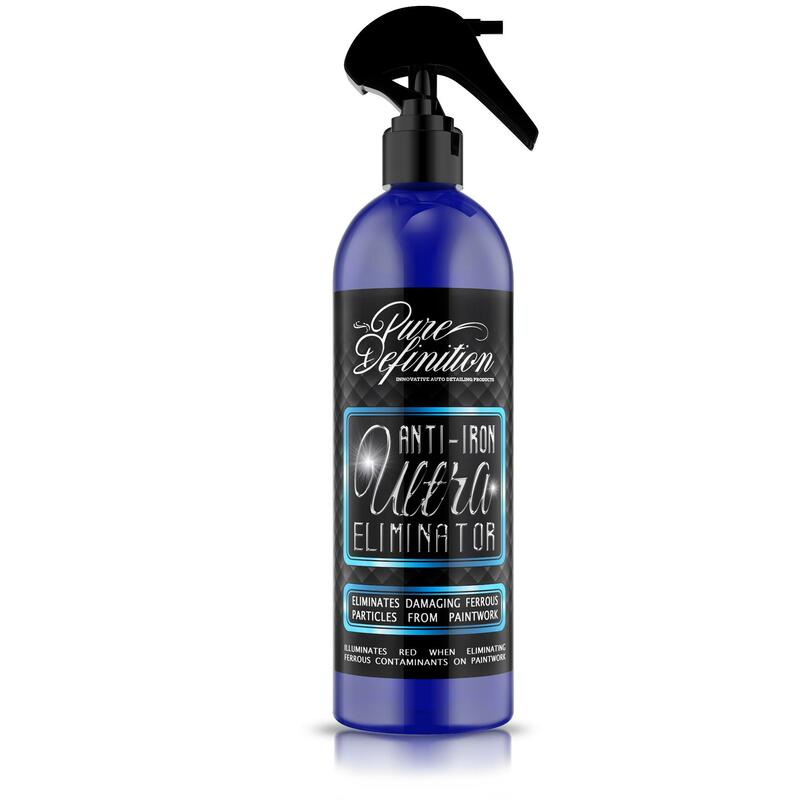 Anti-Iron Ultra Eliminator works to cleanse deep into the pores of the paintwork eliminating the concealed ferrous particles. HOW DOES ANTI-IRON ULTRA ELIMINATOR WORK? 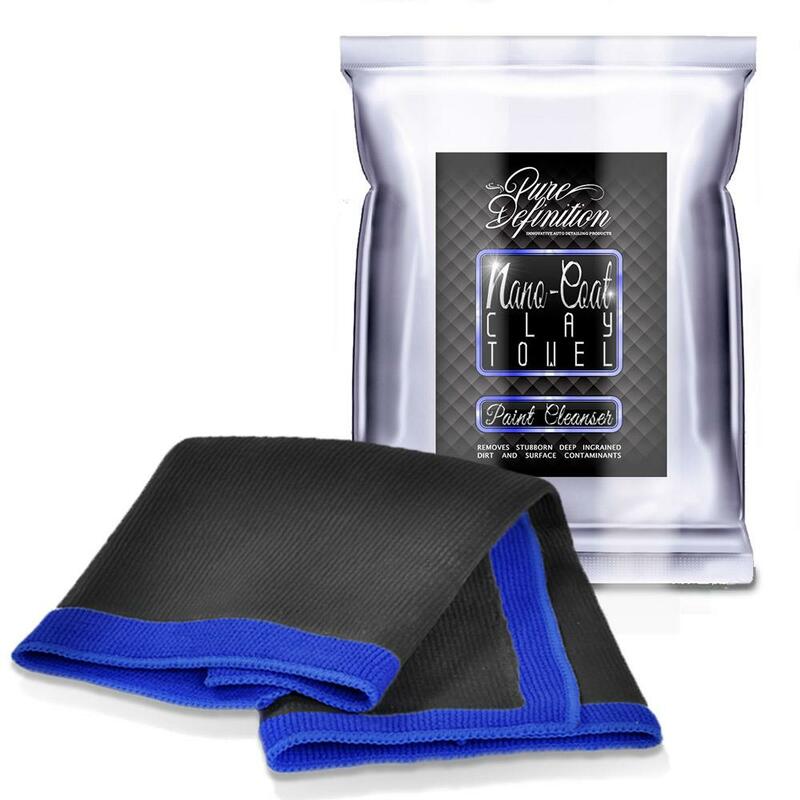 Anti-Iron Ultra Eliminator works by neutralising and removing bonded ferrous contaminants from the surface of the bodywork. The thick formulation creates a coating over the paintwork, it begins to remove dirt and grime, opening up the pores of the paintwork - releasing and removing the ingrained ferrous particles. As the formulation removes the ferrous particles it illuminates red/purple. 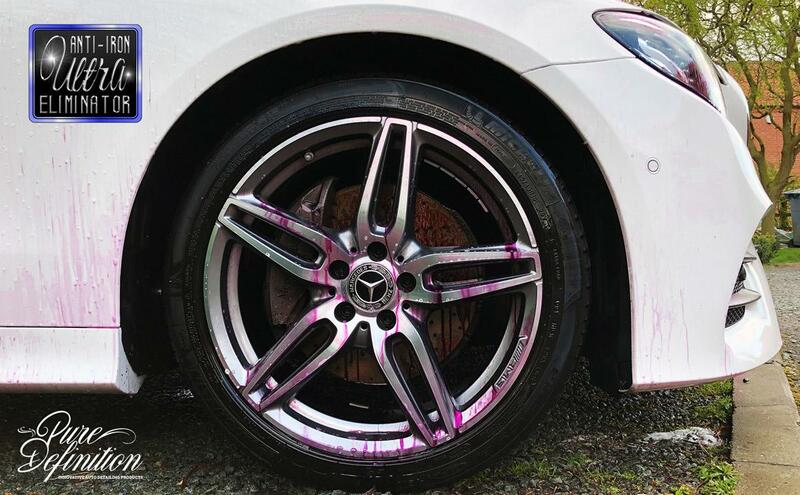 After leaving the formulation on the surface for 5 minutes, rinse the car paint and wheels thoroughly with a power washer and wipe/buff the surface dry. 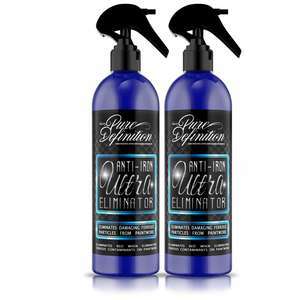 Anti-Iron Ultra Eliminator should be used to remove ferrous particles from the surface of the paintwork. 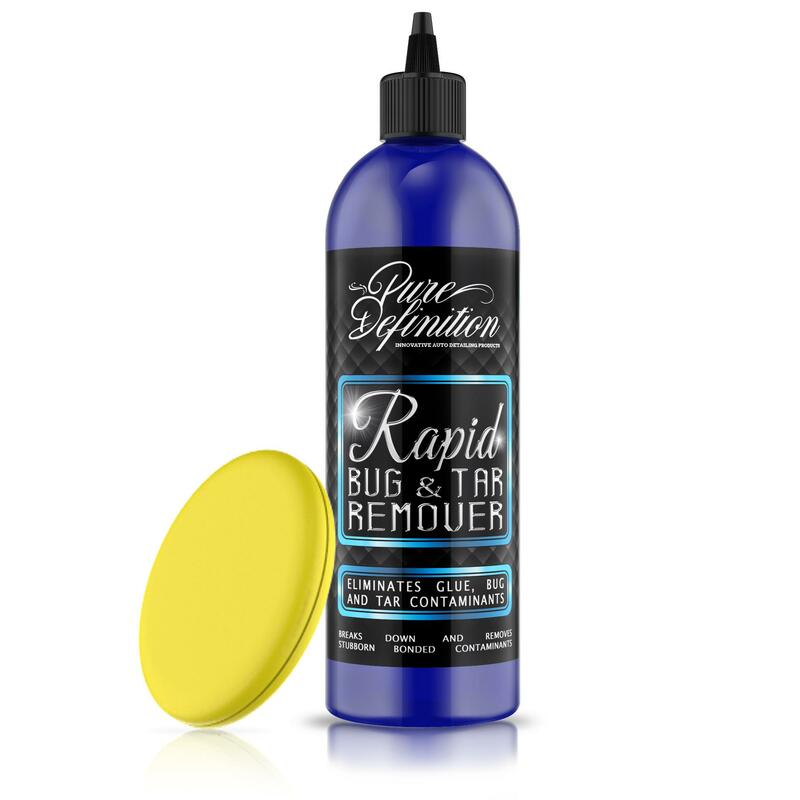 After application, it is recommended to apply a wax or sealant to protect the paintwork. 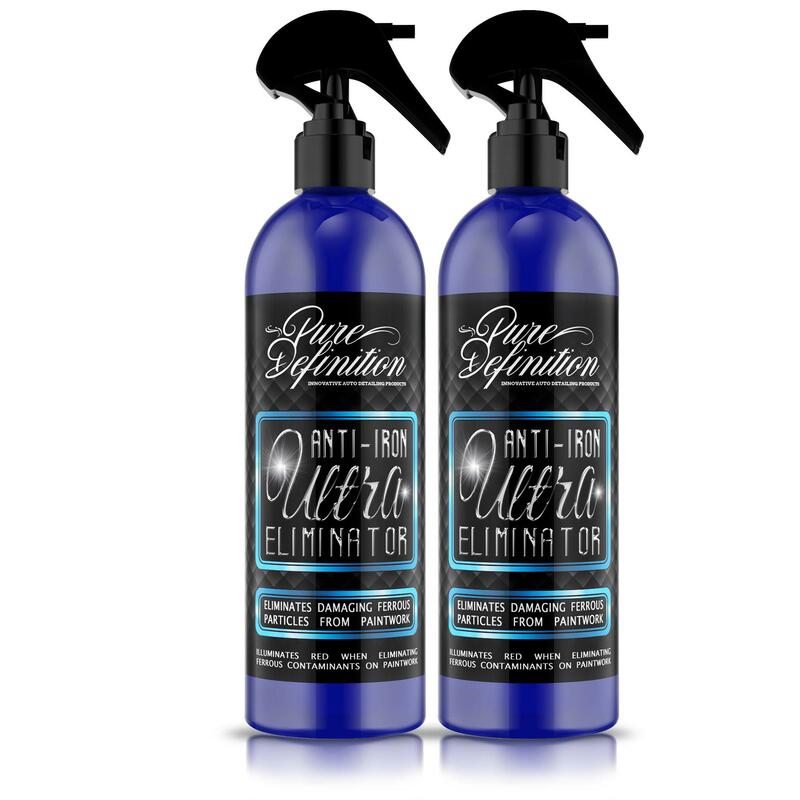 Wash your vehicle or wheels ensuring that all loose dirt is removed from the paintwork before applying Anti-Iron Ultra Eliminator. Do not use in hot direct sunlight. Once the surface is ready, shake the bottle well and spray onto the surface. Allow the formulation to penetrate the contaminants, cleaning deep into the paintwork. You can visually see the fluid working its magic as the elimination and release of the ferrous particles from the paintwork causes the fluid to bleed red/purple.